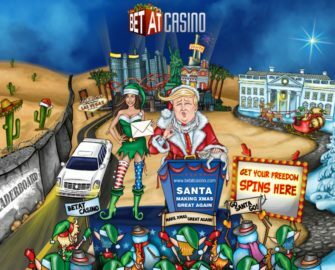 Week 4 of festive campaigning at Betat! Last week and last chance to claim some great Christmas goodies at Betat. If you haven’t already, have a chat with Mrs. Claus who is raring to give you a 100% deposit bonus. There is also a fresh batch of Freedom Spins, this time offering you extra spins on the awesome games Fantasini and When Pigs Fly. For slot players it will be a great 100% Cashback on net losses for selected slots. Not to forget the Multiplier Races and ultimately the monthly Endurance Wager Reward. Freedom Spins – Free Spins on Fantasini or When Pigs Fly!